In the duo of "herbs and spices", herbs tend to get most of the attention when it comes to growing them and making seasonings and flavorings at home. 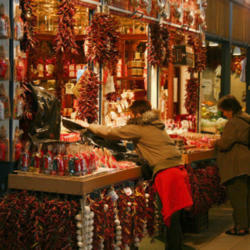 However, a number of spices are equally as easy to grow and preserve yourself. There's also the added reassurance of knowing exactly how they were grown. Just about everyone seems to like herbs and many can attest to how easy it is to grow and preserve them at home. Spices, on the other hand, tend to take a backseat to herbs when it comes to growing and making them yourself. They are often thought to be much more difficult. However, that isn't necessarily the case. Before we get into the practical part of all this, I want to take a little journey down Memory Lane to Southern California in the 1960s and 1970s. Why? Because that's where I was when I first learned about organic gardening, self-sufficient living, homesteading, environmental stewardship, clean energy, natural foods, phytonutrients, probiotics, farmers' markets, growing and preserving herbs and spices, "square foot" gardening, seed sprouting, green drinks, heirlooms, Euell Gibbons, possible natural cures for "incurable" diseases, and other such things that are very advantageous to know. It was radical and controversial stuff back then just as it still is today in many places. We drank raw milk, ate lots of tofu and sea kelp, made our own tie-dyed clothes, denounced sugar, white flour and salt, and extolled the virtues of the "simple" life. Of course, most of us lived with a foot in two worlds. But we were learning. And I'm very grateful for what I learned. I never got the opportunity to live off-the-grid or homestead some acreage, but I did learn many practical things that have remained with me throughout my life. Those things can be used wherever I live, be it urban, suburban or rural. The lessons have served me well over the years and were not just passing fads. In fact, many of those practices are currently growing in popularity. 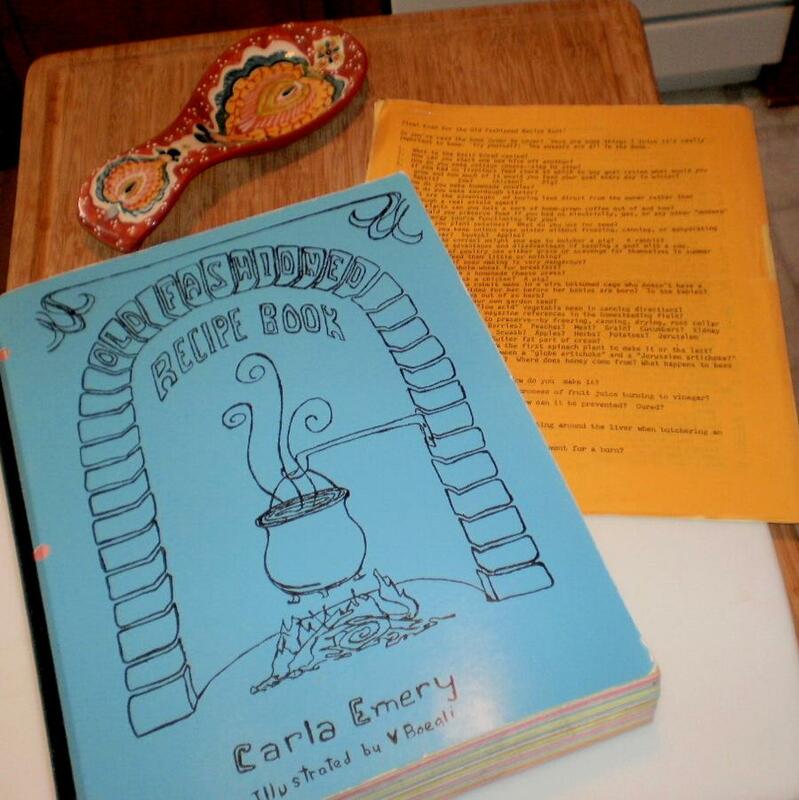 So as I started to write about spices, it was just natural for me to pull out my original copy of the Old Fashioned Recipe Book by Carla Emery. Carla provided a lot of inspiration back then. 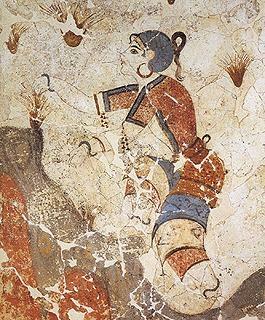 She hadn't just researched and written, she'd actually lived it and written. If I could only have one book about self-sufficient living, this might be it. 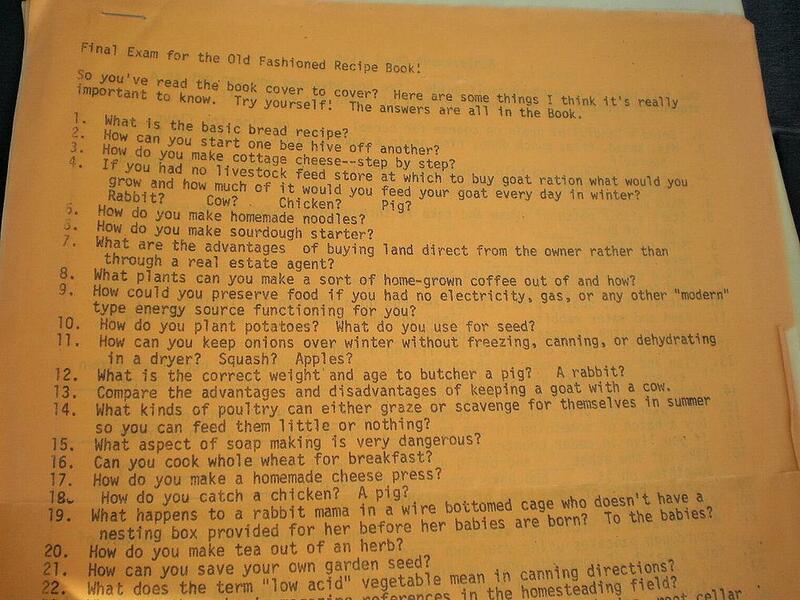 It was and still is a gold mine of practical information in 628 mimeographed pages (for those too young to remember the joys of an old hand-cranked mimeograph machine, Google remembers). 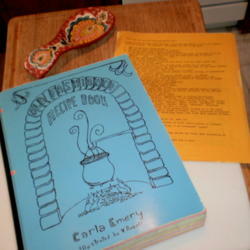 When additional pages were added over the years and the Table of Contents was updated, Carla simply mimeographed copies of the new pages and mailed them to everyone who had bought her book. Of course, you could always reach her with a letter that was simply addressed: Carla, Kendrick, Idaho. I flipped open the worn book and searched the Index for the word spices. Of course the subject was there ... along with lots of information. 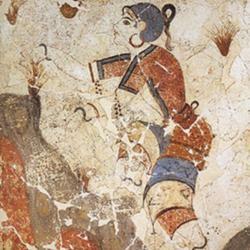 Much of it I had actually remembered and some had already been incorporated from experience into what I had just written. I soon got lost in other practical and pithy information such as how to make pig or chicken foot jelly, how to crystallize pinks (carnations) to make them taste like clove-flavored candy, and how to gut a freshly slaughtered hog. But spices is the topic of our attention. Simply defined, an herb is the green or leafy part of a plant that is used as a seasoning or flavoring but not as a main ingredient. A spice, in contrast, is basically any other part of a plant that is dried and used to add flavor or seasoning to a dish. That includes things like roots, bark, berries, seeds and twigs. Spices are used in dried form while herbs can be used either fresh or dried. Nutmeg is an example of a spice made from dried seeds, cinnamon is made from a dried tree bark, and cloves are dried flower buds. Four easy to make at home spices are onion powder, garlic powder, ginger powder (Zinziber officinale) and turmeric powder (Curcuma longa). All of these plants are easy to grow at home in their hardiness zones. 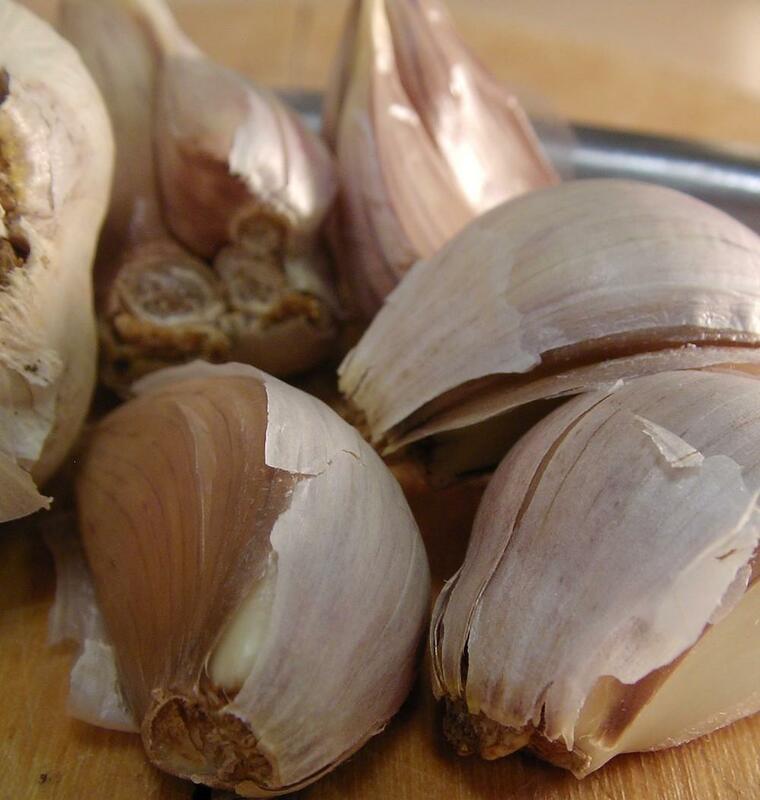 Harvest onions and garlic when the bulbs are mature; in the case of ginger and turmeric, harvest the roots in the Fall once they go dormant. Take care when working with turmeric because it stains things a very vibrant yellow. 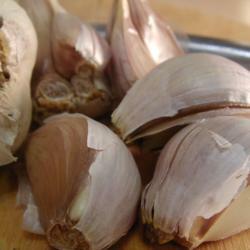 Peel the bulbs or roots and cut them into thin slices about 1/4" thick or so for drying. Or use a vegetable peeler to shave slices. The slices can be air-dried on screens or dried in an oven or dehydrator at about 115º-150º F. If you are using a dehydrator, follow the instructions in your owner's manual. Check fairly frequently during the drying process which will vary with each batch depending on how much moisture was in the slices at the beginning. The idea is to dehydrate the slices without browning or cooking them. Remove the slices from the oven or dehydrator as soon as they are dry. The longer they dry, the more flavor they will lose. Use a mortar and pestle to crush the dried slices or grind them in a small electric coffee/spice grinder. A grinder that has been used to grind spices should be dedicated to that purpose only and not used again to grind coffee ... unless you like the taste of onion, garlic or ginger flavored coffee. 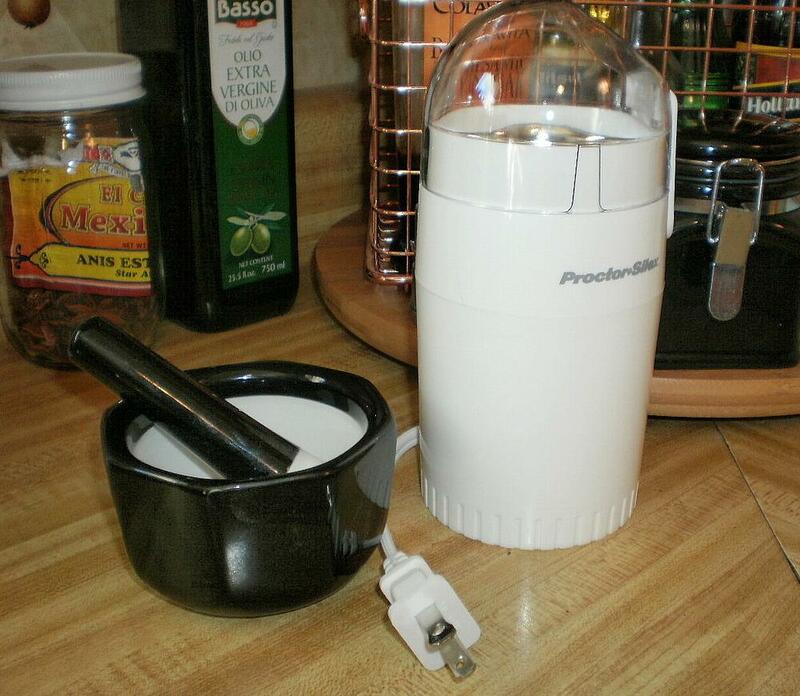 No matter how clean you wash it, the taste of the potent oils can remain in the grinder. Store the freshly ground spices in small, clean glass jars. I like to use the empty jars from my store-bought spices. 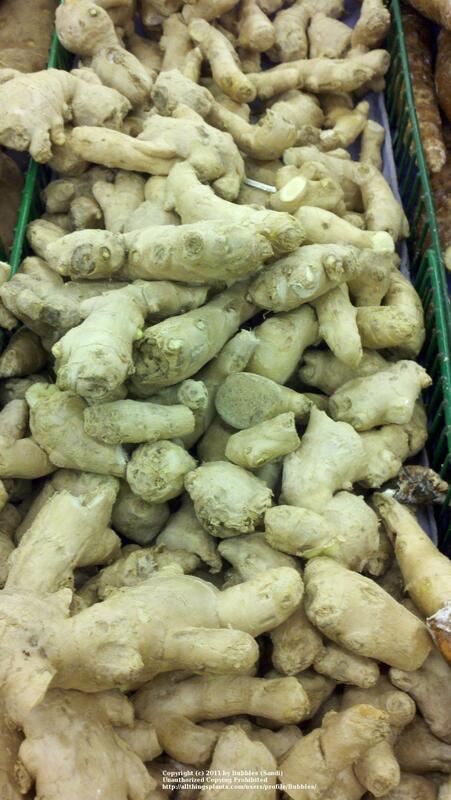 If you are a fan of Thai cooking, you might also want to try growing and drying galangal (Alpinia galanga), a rhizome similar to ginger and a popular Thai spice. These two are very simple to make since peppers are among the easiest vegetables to dry. 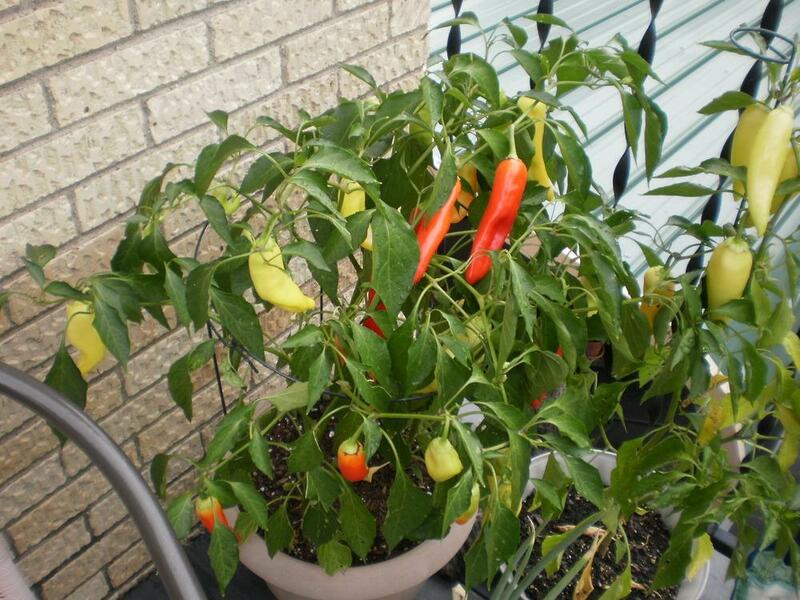 The "warm" setting on an oven or just below 150º F is a good temperature for drying peppers. Crushed red pepper and hot red pepper powder are made by first removing the seeds from red chili peppers or cayenne peppers (Capsicum annuum). Dry the peppers, then crush or grind them. Hot peppers such as Ancho and Jalapeño can also be used. Warning: those powders will be quite hot! 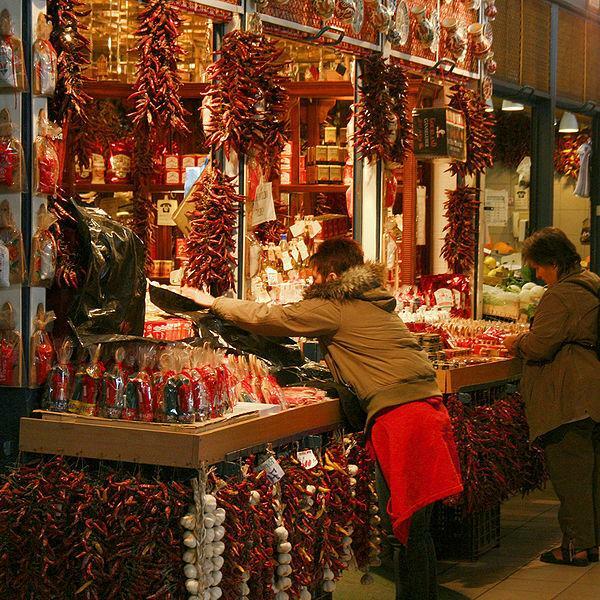 Sweet Paprika is simply ground dried red bell peppers. The peppers should be as thin-walled as possible to prevent molding. Core the peppers, remove the seeds, seed cage and any white pith. Slice and dry them; then finely grind the dried peppers. Store in an airtight glass jar. 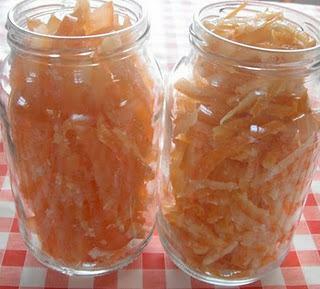 Finely grate the rinds of pesticide-free lemons, limes, oranges or grapefruit while avoiding any pith. Dry and store in an airtight glass bottle. That's all there is to it. Reconstitute before using. 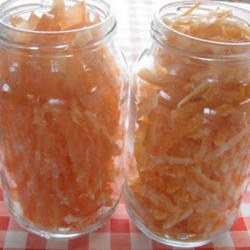 If you think your dried citrus peel has become too old to use, toss it in the fireplace as is or put it in water on top of a woodstove to create a wonderfully aroma-filled room. 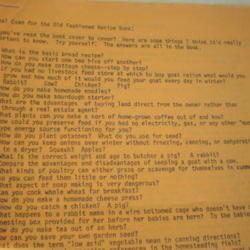 Orange peel, in particular, contains a high amount of flammable oil and makes a good kindling or firestarter. Allow some of your homegrown plants to flower and form seeds. Harvest the seeds when they are easy to shake from the dry stalks of the plants and store them whole in airtight jars out of the light. Crush or grind into fresh powder as needed. All are best used within six months to a year. Cumin powder is made from the seeds of the Cumimum cyminum plant, which is a member of the parsley family and easy to grow where there is a long, hot growing season. It is drought-tolerant but needs fertile, well-drained soil. The seeds resemble caraway or dill seeds. Cumin is the second most popular spice in the world after black pepper. 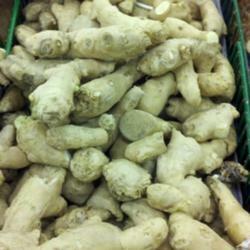 It's flavor is earthy and very good in soups and stews. In the case of coriander, which is the seed of the cilantro plant (Coriandrum sativum), the plants can easily bolt to seed in warm weather. The flavor of the seeds will begin to deteriorate after about six months, so use within a year. Fennel "seeds" are technically the fruit of the plant Foeniculum vulgare. Practically every part of the fennel plant is edible. Dried mustard seeds (Sinapis hirta, Brassica juncea, Brassica nigra) finely ground into flour can be used to make your own mustard. All you really need is equal parts of the ground mustard seed flour and water to make a smooth prepared mustard at home. Herbs, other spices, salt, vinegar and so forth can be added to create your own personal mustard flavors. Homemade mustards will keep in the refrigerator for about a month. Note: Mustard will cause oxidation of aluminum kitchen utensils. As a personal aside, aluminum is highly reactive to many foods as well as other substances, and you really don't want it in your body. When I'm in the spice aisle at the grocery, I always stop to take down a jar of saffron. I just like holding it in my hands for a little while. Then I bemoan the price and put it back. 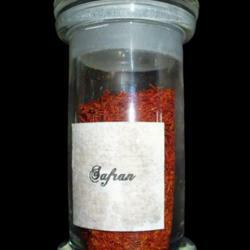 Saffron is the most expensive spice in the world, followed by vanilla, cardamom and Ceylon cinnamon. 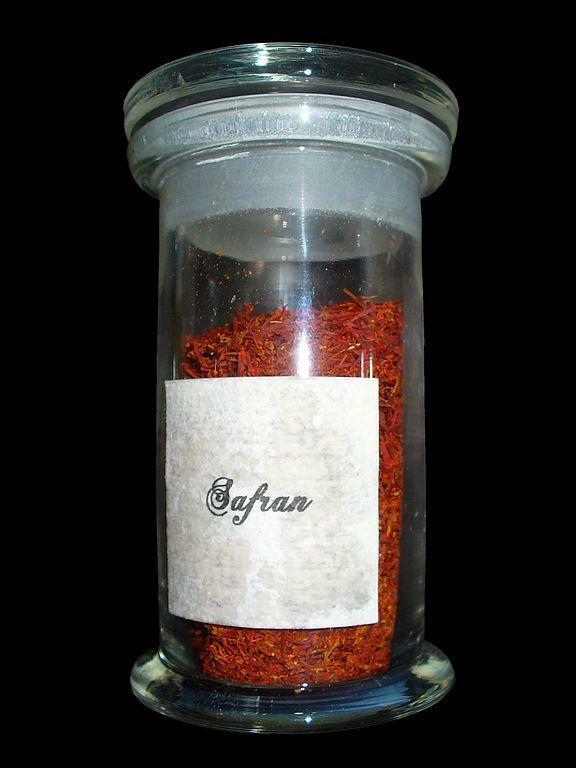 Saffron can cost up to $2,000 a pound, but even at the usual $7-$14 for half an ounce at the store, it's still expensive. Why I waited so long to find out about growing my own, I don't know. But as soon as I found out I could, it went on my project list for this year. 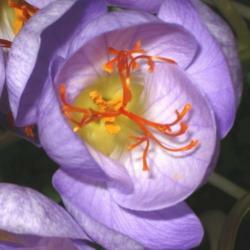 Saffron is the dried reddish-orange stigmas of the autumn-blooming saffron crocus (Crocus sativus). The plant is hardy in zones 6-9 and is a reliable producer, creating the best crops during hot summers. By some estimates it takes around 50,000 flowers to make a pound of saffron, but I'll be quite happy with far fewer than that. 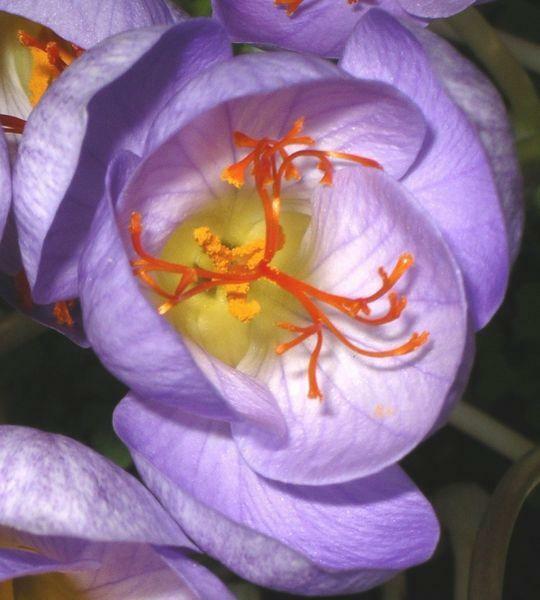 About 40 saffron crocus bulbs will yield a tablespoon of stigmas in a season. They do multiply rapidly, I'm told, if they like their growing conditions. Harvest the stigmas in the morning before 10 a.m., dry them on paper towels, and store them in a dark-colored, airtight glass container or in a jar in a dark cupboard. So why even grow and make your own spices when you can simply buy them? Fresh spices taste so much better than commercial spices off a store shelf. 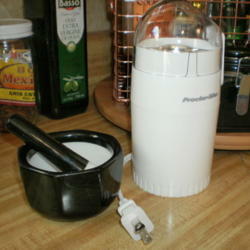 They are healthier and better for you because you control the growing environment. 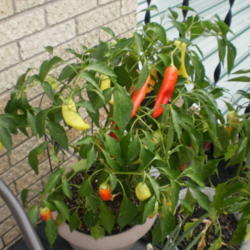 They are more economical, and growing and making spices is just a good skill to have. Besides all that, it's fun!